PawBoost loves to share happy endings! Read March’s Featured Happy Tails to learn how these fur babies were reunited with their families. Love these Happy Tails? We love sharing them! Click here to read more. 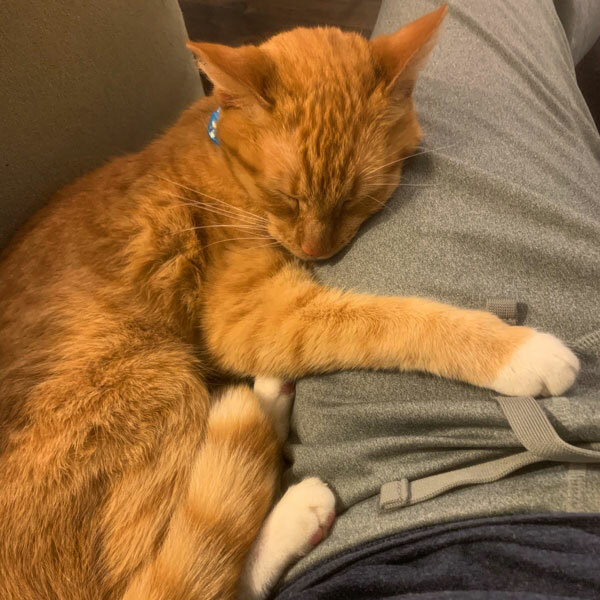 Lilly: Lost Cat Reunited in Austin, TX! “Our family was on vacation and we hired a pet sitter to stay at our house to care for our three cats and our dog. Our cats are mostly indoor but are allowed to go outside for a few hours a day. They usually stay in our yard or the neighbor’s yard and ask to come back in after a few hours. Our pet sitter had been letting them in and out for 5 days, and the last day she let them out and let us know that two of the three cats were still outside when she left after walking the dog. We were delayed a bit in our travel so we got home later than expected. When we went to the back door to let Lilly and Fivey back in, only Fivey was there. I found out later from a neighbor across the street that on the day Lilly went missing, our neighbor saw her crossing the street and then put her back in our yard. We put out posters, posted to Nextdoor, Austin Lost and Found Pets and PawBoost. We walked the neighborhood several times a day and checked out every lead in person. Each time, it was not our Lilly. Then I got a call from my vet and someone had found Lilly! She was at a vet clinic a few miles away. The man that found her in his yard the night before lives on 10 acres of wooded land, almost 25 miles away! He heard something rustling in the leaves after dark and discovered a scared and hungry Lilly that eventually decided he was safe. All we can think of is that she accidentally got into a vehicle or someone intentionally took her that far and then she managed to find his cabin in the woods. 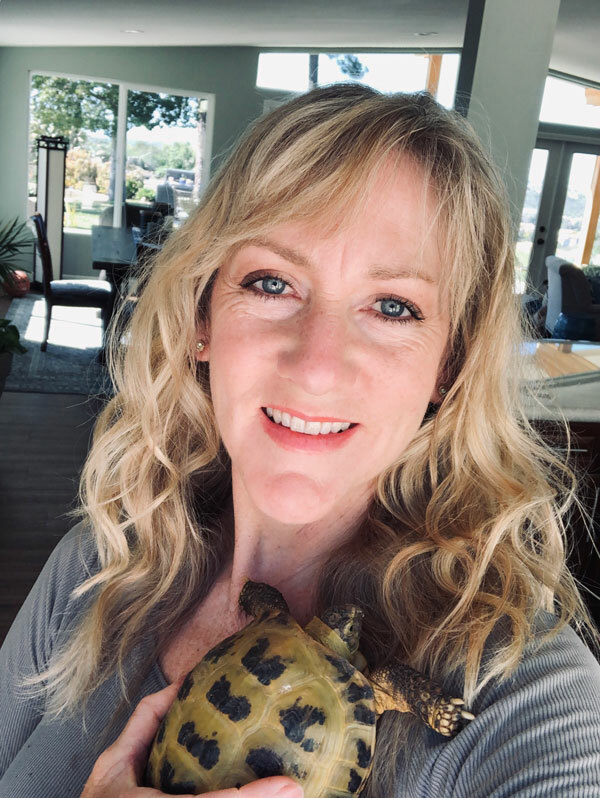 Olive: Lost Tortoise Reunited in San Diego County, CA! “Olive, my Russian tortoise, is housed inside the house so we take her outside occasionally to get some sun and exercise. I was about 10’ away from her, stooped down to pull a couple of weeds, looked up and she was gone. I searched around the house for hours and then every day but no luck. I know these tortoises can travel fast and far so I immediately posted on PawBoost in hopes that maybe someone would find her. Weeks later, my neighbor texted me that her gardener had found her way down the street! She survived all the rain and cold. She was very cold but quickly warmed up in the sun, is eating and looks great! PawBoost is one of the first places I look to when I hear a pet is missing or found. Recently, I saw a post of a missing dog on PawBoost and minutes later a friend posted on Facebook that her friend had found a dog that fit the description of the missing dog. I forwarded her the post and the dog was reunited. 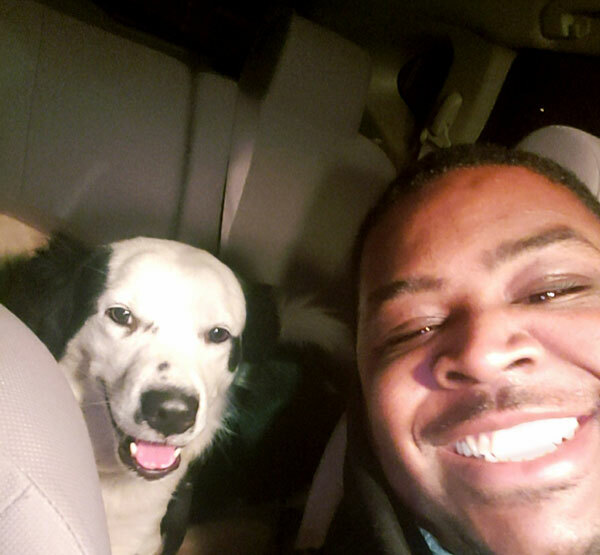 Mysty: Lost Dog Reunited in Kansas City, MO! “My wife and I left Mysty with someone while we took our son to the hospital. We were confident in leaving her with them because we’ve done it a few times. Apparently she got out of the fenced yard. I looked for different methods to find her. I had never heard of PawBoost before, but I read what it was about, and figured I’d give it a shot. But I didn’t tell my wife, as to not get her hopes up. I kept getting updates about people responding to the post, and then someone posted a picture of her. 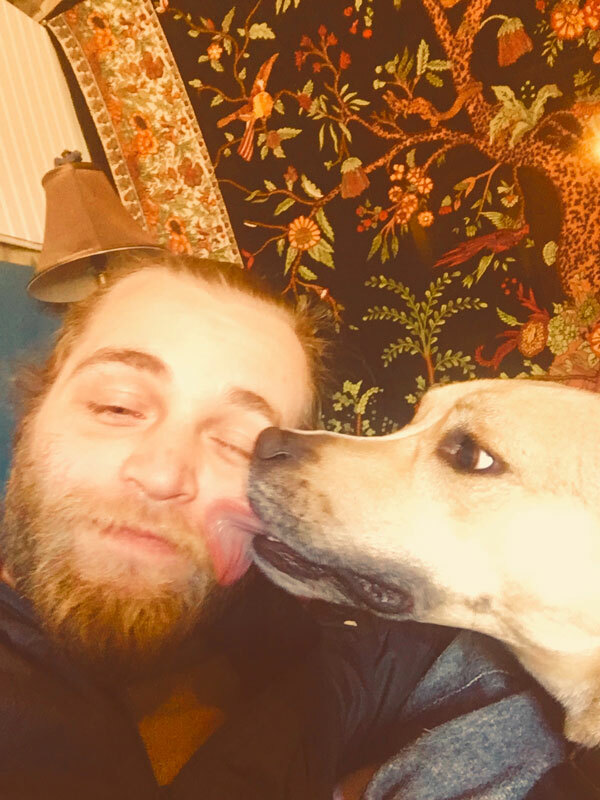 Dexter: Lost Dog Reunited in Chancellor, VA! “Dexter went missing one Saturday when he and his canine companion, Chance, slipped out of the front door. Together they ran into the woods and out of sight. Later that night, Chance was back, but Dexter was still missing. The next day, we found PawBoost and after filling out the missing dog form it was automatically posted to my local PawBoost Facebook page. Dexter’s lost flyer was shared dozens of times within hours. Along with the help of PawBoost, and other friends and residents posting and re-posting, the family who found Dex was able to get into contact with me. 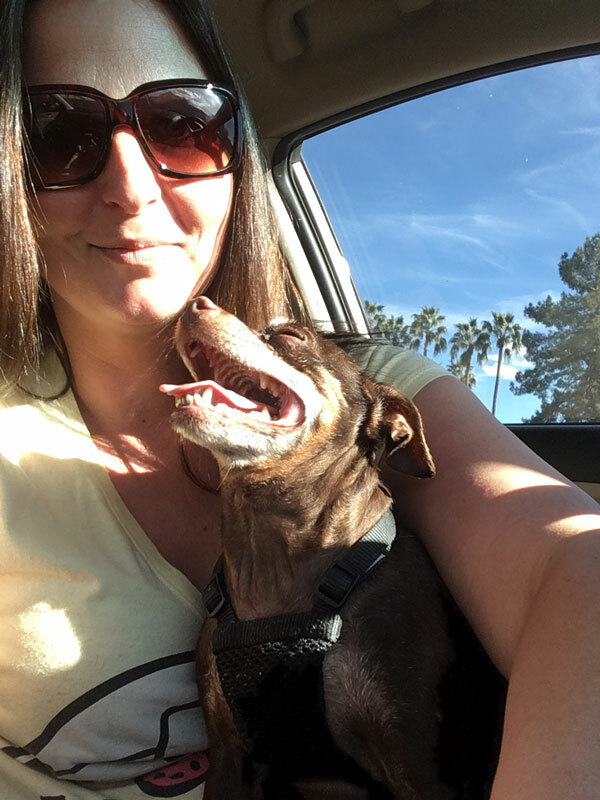 Reese’s: Lost Dog Reunited in Mesa, AZ! “Reese’s went missing just after moving into our new home. The saddest part was that, I had literally JUST gotten her back in my possession after a long divorce and of course, having to acquire a home for her also. Fast forward to the beginning of March 2019, I was hesitant to respond to this person texting me so late that they had my Reese’s, but I did. The pictures flew in and this awesome family reunited me with Reese’s. I know how terrifying and sad it is to lose your pet. I always post and share both lost and reunited pets on Facebook. I would love to hear the way in which pets were able to be reunited with their families. When someone on our Nextdoor Neighborhood site posts a pet that they have lost or one someone has found, I always suggest that they post to Pawboost, as well as to tow local lost & found sites, all with links to each site. Lost or found pets can never ber posted to too many sites to try to ensure happy family reunions.